FoodBanks is the Belgian federation of, well, food banks, which collect and distribute food for the needy in Belgium. For its 30th anniversary, the NGO wanted to relaunch its brand, in order to gain attention in the media and generate funds. 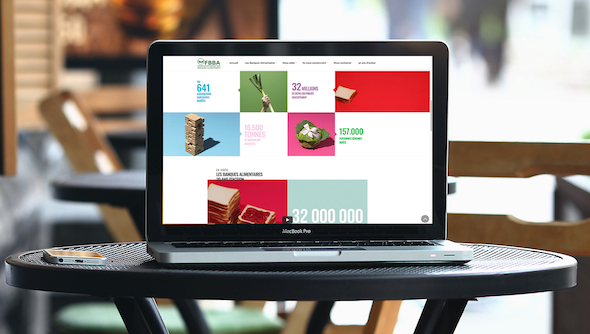 The dedicated campaign website page created by Emakina shows a fresh and tasteful message, that makes you want to sink your teeth in: they are the bank with more on their plate than making dough for shareholders. In 2017, one in seven people and one in five children in Belgium didn’t have enough to eat. A traditional campaign would not suffice to decently address the challenge. So, we created a new baseline, “Feeding the solidarity”, and placed it at the heart of the campaign. With an iconic apple as the symbol for food, revival, and positive thinking, a fresh new design was created. The food banks: feeding the solidarity! To make the message crunchier, the slogan of the campaign was written in apples. 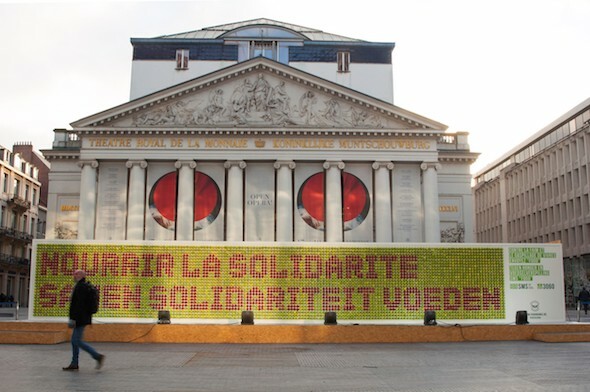 Literally: 5,000 juicy apples spelled out the new slogan on a 32m2 billboard in the heart of the capital, right in front of La Monnaie, Brussels’ historic coin production square – adding depth to the message. People stopped by to eat an apple or two, and donate to the campaign by simply sending a text message on their phone. The billboard became the centerpiece of a real-life event. Not only was it an eye catcher, it was part of the interaction. 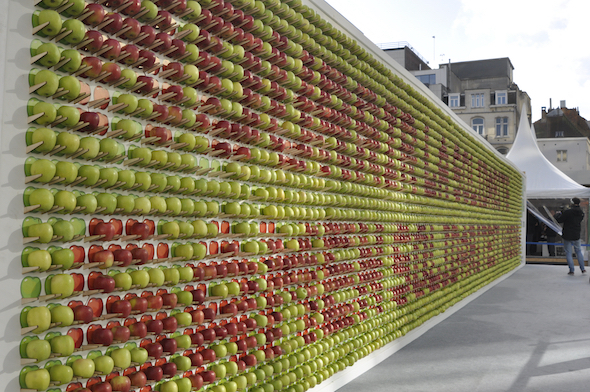 Passers-by were invited to pick and eat an apple or two, while they in return could offer their support via SMS, harvesting over 2,500 donations. Influencers were invited to join in. By sharing virtual apples, they shared their support online, inviting others to further spread the campaign. Thousands followed their example and helped feed the solidarity. The well-orchestrated PR action pushed the idea to other media: TV, web, radio and print generated more than 100 stories about the initiative. The campaign tastefully raised awareness about the food banks’ essential action.